I was not exactly nice with Christian Boltanski‘s Archives du Coeur the first time I visited the artwork back in 2010. You can read my not so flattering review there as a reminder if you want. However, with time and some reflection, I changed my mind a little, but enough to give it a second chance. I still have mixed feelings about it, but mixed feelings are better than bad feelings, aren’t they? Exploding heartbeats — This is what Les Archives du Coeur is if you had to describe the work in a few words. The sound of the heartbeats is utterly powerful, not just at an ear pounding level but one that reverberates throughout the whole body as if it may knock you out. The darkness that protrudes into the depth of the space also amplifies your anxiety and fear. 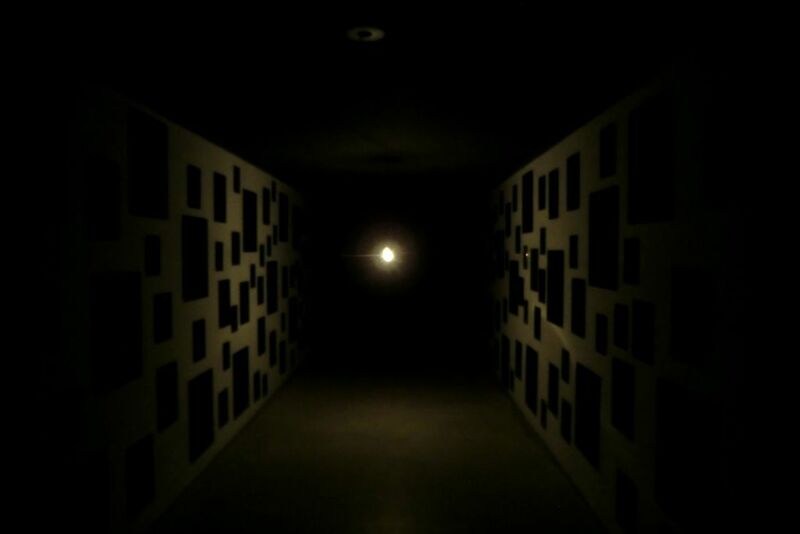 Light bulbs flash synchronically with the heartbeats and dimly illuminate the space, but the emitted light is immediately absorbed by black mirrors on the wall. Even the heartbeats are engulfed by the deep darkness. 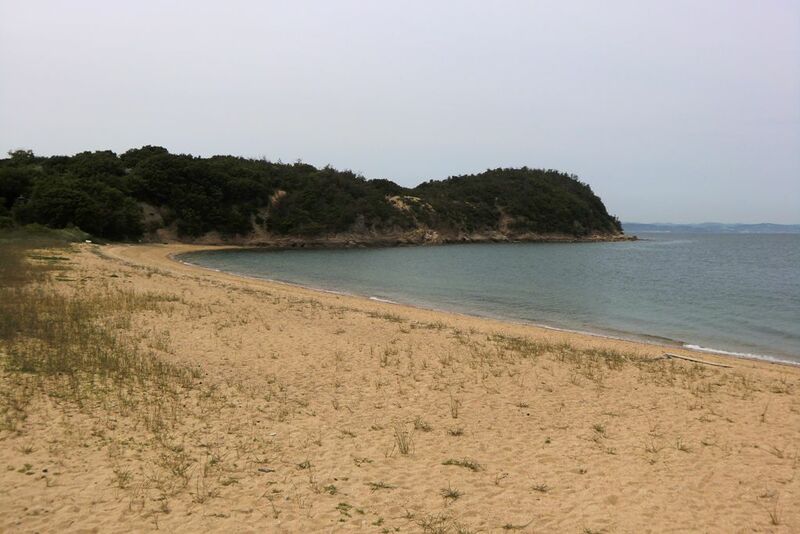 No matter how thoroughly I write a review of Les Archives du Coeur, it cannot fully express the extent of the work, for, as every other work of art on Teshima, it is tied to its environment too closely to be discussed as an autonomous entity. In addition to the beautiful and harsh natural landscape, the human relationships within the local community and the memories of the land deeply affect the core of each work. 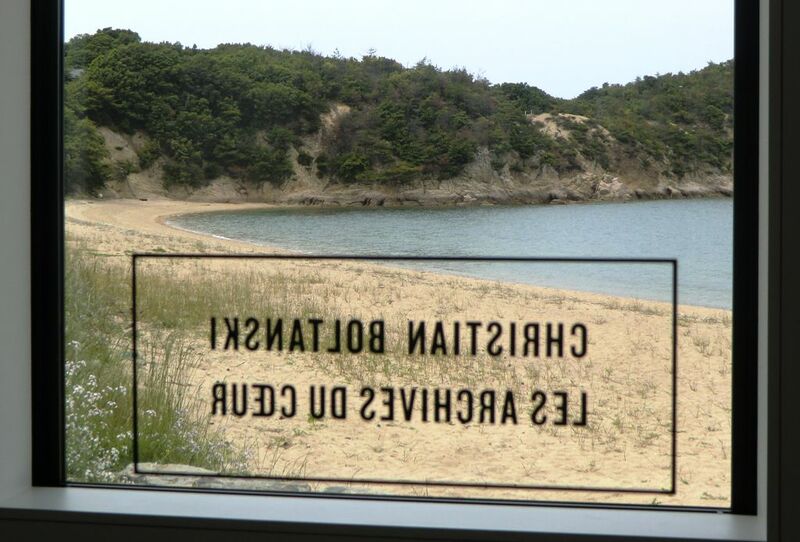 Thus, in order to critique the works of art on Teshima, one must maintain a broad perspective that takes into account the environment together with each work. 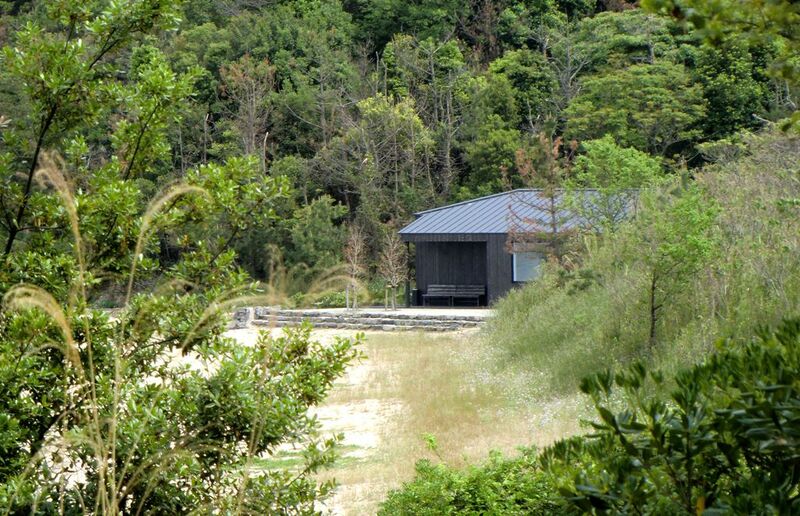 In other words, the works on Teshima are unlike any other kind of conventional art up until now. 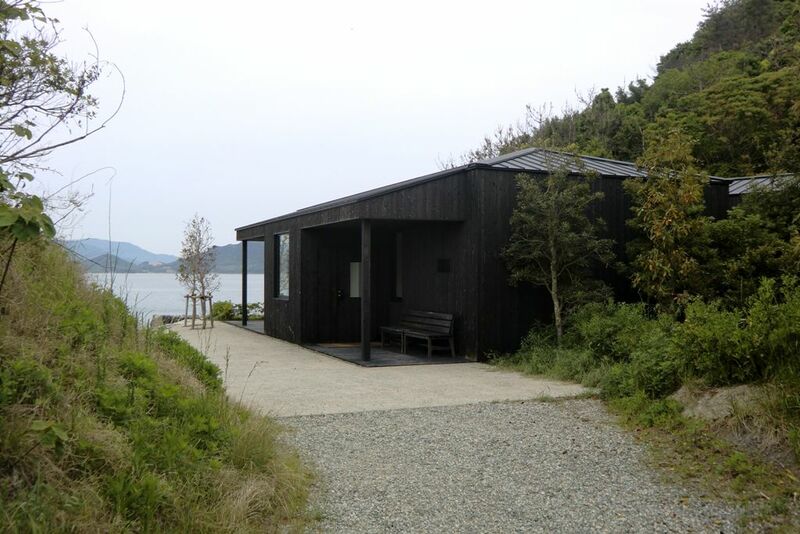 I must confess here that what impressed me the most on Teshima, more so than the actual works of art, was the active involvement of local residents. For example, I saw some of them had placed handmade goods and objects along where tourists would pass by, some had opened a gallery within their own homes, and some people would stand on the side of the streets to give directions and act as a guide to tourists. They seemed to enjoy expressing themselves in various ways. Perhaps the best example of such activities is the observatory built by the islanders on top of Mt. 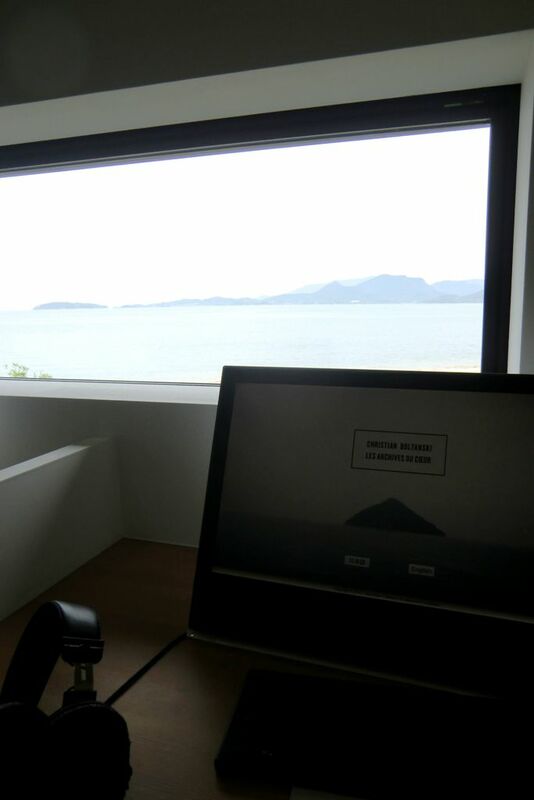 Dan’yama, the highest peak of Teshima. From a conventional viewpoint focusing on individual works of art, these actions may only be regarded as a derived outcome. However, considering the general lack of imagination and ability of urban museums and international exhibitions to promote nonprofessional artistic expressions, we ought to understand these things as essential merits, and not mere side effects, that are unique to the art on the island. What these spontaneous activities signify is no other than artistic value that is immeasurable by an economical standard. I hear that many local residents have already visited Les Archives du Coeur and recorded their own heartbeats. On one hand it can be said that they took part in a work of art that involves viewer participation. On The other hand, these people enjoyed expressing themselves through the work. This is evidenced by the fact that they were not satisfied enough with simply participating through making their own recording and so revisited the work, bringing with them others to let them hear their recorded heartbeats. This may be similar to someone taking friends to a gallery to show his or her own paintings displayed there. In short, each heartbeat is a personal work of art, and therefore, in addition to being an installation by Boltanski, Les Archives du Coeur is a museum that displays the collective expression of the local people and its viewers. The joy that comes from creative acts of expression reminds us that we are alive and elicits our energy to live even better afterwards. Les Archives du Coeur is thus a cultural apparatus that leads people to the path between life and death, inviting them to live each and every day well. The important thing here is imagination — so fundamental to human beings — something conventional art once had but has now lost and something that will be recovered by art after art. I have to admit that reading this article and this second visit made me appreciate the work better. I’m not a convinced fan just yet, I still have issues with a few things here and there, but I have to admit that today, even the idea of having my heartbeat recorded and archived for ¥1,500 doesn’t make me too angry anymore and why not do it in a future visit? I still think that such a recording should be free, but as you get a CD with your heartbeat and a small book about the work of art for the price, why not? 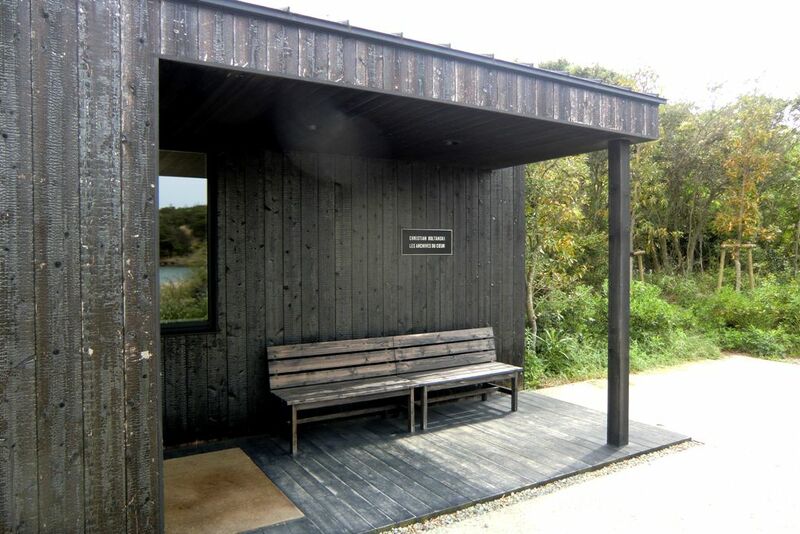 So if you go to Teshima one of these days (and you know how much I advise you to do such a thing), just go check it out with all of that in mind and make your own opinion about Christian Boltanski’s Archives du Coeur. It’s perfectly OK to change your mind. That’s good, rather than stick to a certain view or opinion for ever. Often reading an article about the background to a piece of art or even a book can give you a new perspective on it. Understanding what the artist is trying to do can help you see something with new eyes. Yes, learning more about it helped change my view. Also, when I visited it the first time I was in a certain mindset (the Festival, the Matsuri, etc – you can read from the link I included early in the post) and it came as a “shock”. Now, on the other hand, knowing that it’s here to stay, and that I think Teshima is really becoming a magical place (more than Naoshima… hard to compare with Ogijima though, they’re so close but so different), so I decided to make the best of it and learn to like this artwork too.